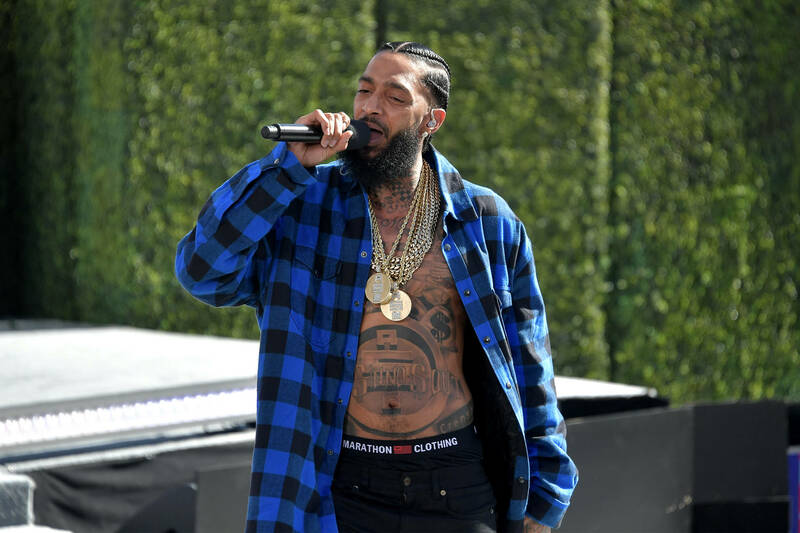 Home>Music> Charlamagne Tha God Designates Nipsey Hussle's Killer As "Donkey Of The Day"
The hip-hop community is still reeling from the sudden shock of Nipsey Hussle's killing. Unlike in other grievous situations, the community didn't have quite as much time to get their bearings. Two options presented themselves right from the onset: either: a) mourn his passing in the traditional sense, or b) make Nipsey's passing as a teachable moment. By some chance, Nipsey fans have been able to bear both those crosses at once. And yet, Eric Holder is still the only person who was caught on camera committing any act of ill-will towards the deeply-beloved Nipsey Hussle, resulting in the discussion over intercommunal violence coming to a head, thanks to media personalities like Charlamagne Tha God. Charlamagne dubbed Eric Holder his "Donkey of the Day" for April 2nd. The Breakfast Club reached beyond the obvious connotations of the crime by accusing Eric Holder od derailing the "forward movement" Black America, in so many words. "Eric Holder is just the latest in a line of hurt people who hurt people. A lot of brothers are simply in pain and they just keep redistributing that pain to people who look just like them," The Breakfast Club host said on-air. "But Eric Holder, you killing Nipsey not 'gon kill your trauma." Nipsey Hussle was shot and killed by Eric Holder at close range on Sunday evening. The assailant fired several shots at the Crenshaw rapper before peeling away in a getaway car. Holder was later identified within hours of committing the crime. He is currently sitting in solitary confinement. MUSIC Charlamagne Tha God Designates Nipsey Hussle's Killer As "Donkey Of The Day"